Thank you to Levitt AMP Lafayette for reminding us that in times of great sorrow, we need to come together more than ever. 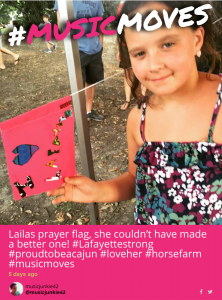 Last Wednesday, music filled the air and brightly colored flags—like the one young Laila holds in the picture to the left—moved in the wind, honoring the victims of Lafayette’s recent shooting. A special thanks to @musicjunkie42 for capturing your community’s beautiful prayer flag tribute and sharing how #musicmoves and strengthens you. Want to see more moments like these? Check out our live #musicmoves feed and share your #musicmoves on Twitter or Instagram for a chance to win a $100 iTunes gift card! 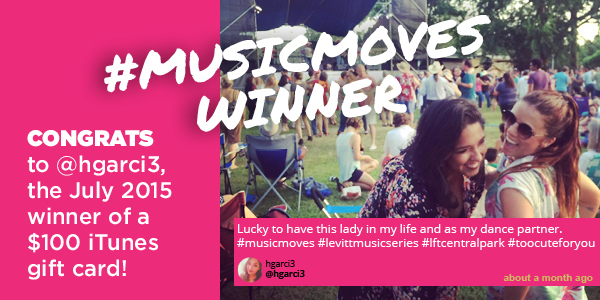 This entry was posted in #musicmoves and tagged Levitt AMP Lafayette on August 3, 2015 by Nicole McGaffey. #musicmoves are always more fun with your best dance partner! 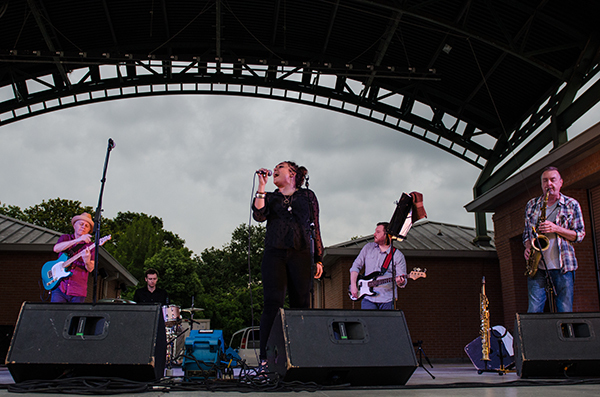 Special thanks to @katkinggg for showing us how music moved her at last week’s Pine Leaf Boys concert at Levitt AMP Lafayette. It looks like it was a great night! 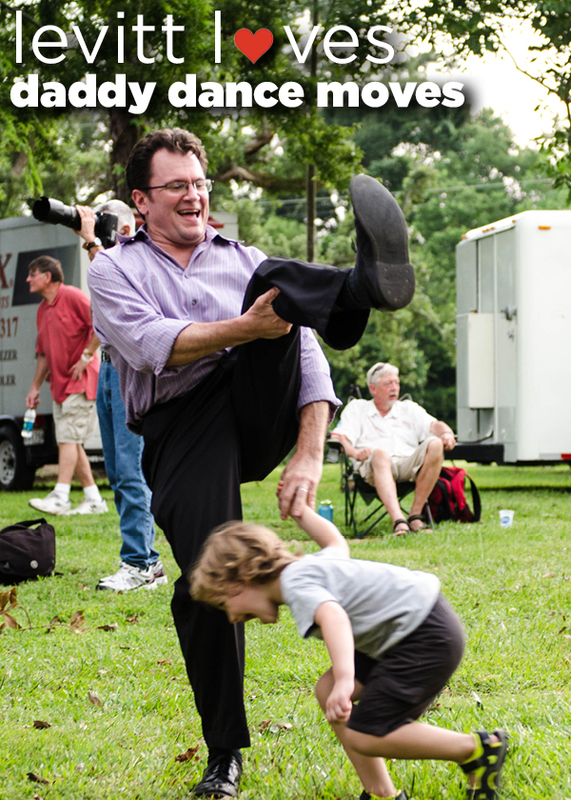 Want to see more gleeful #musicmoves? Check out our live feed and be sure to share your own photos on Twitter or Instagram for a chance to win a $100 iTunes gift card! 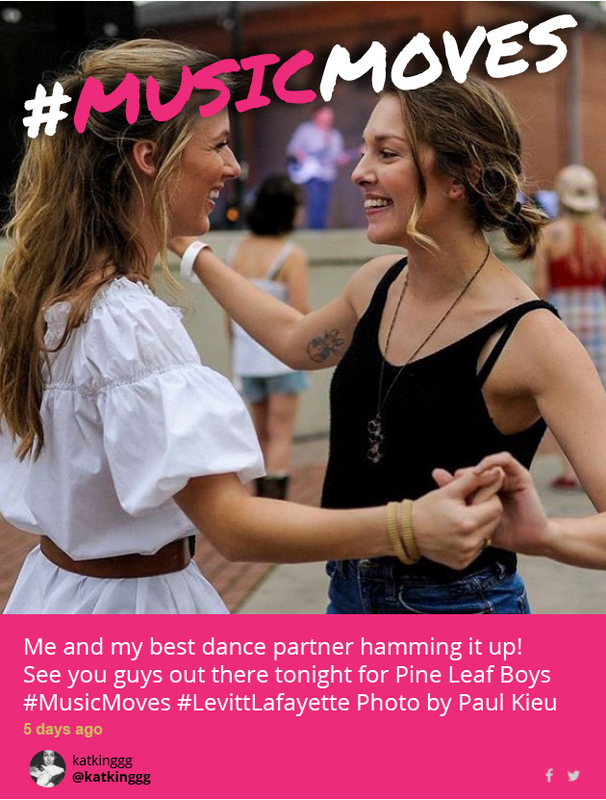 This entry was posted in #musicmoves and tagged Levitt AMP Lafayette, Pine Leaf Boys on June 29, 2015 by Nicole McGaffey. Over the past ten years, the band has brought their exuberant mix of Cajun, Creole and zydeco to not only 42 states across the country but also 22 countries around the world. On multiple occasions, they’ve been invited by the U.S. State Department to tour internationally as ambassadors of American music, performing in the Middle East (2009), Central Asia (2012) and Europe (2010 & 2013). But whether they’re playing in their home state or overseas, the sound of the Pine Leaf Boys is unmistakably that of Louisiana, driven by a swinging accordion and fiddle and sung almost exclusively in traditional Cajun French. 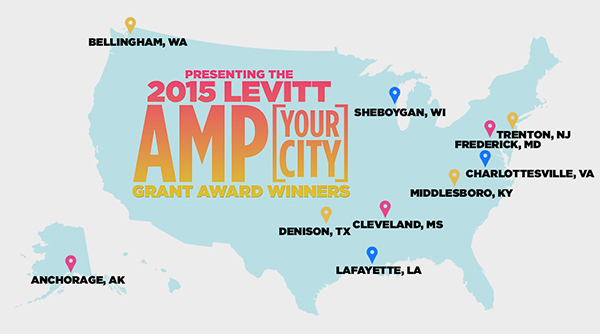 This entry was posted in Concerts, Levitt Artists, Spotlight Series and tagged Lafayette, Levitt AMP Lafayette, Pine Leaf Boys on June 24, 2015 by Katie Huang.